Few things are worse than irritated, dry skin. Plump skin is the goal here, but tight and itchy? Not so much. 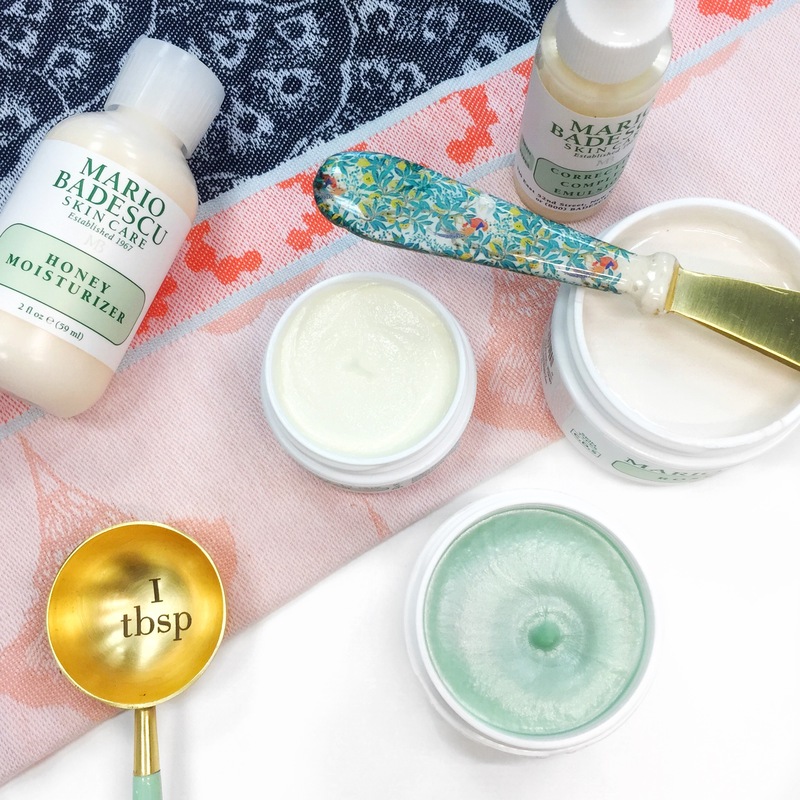 Every DIY facial starts with a clean complexion. Cleanse, exfoliate, and tone with your trusty favorites—you know how the tune goes. Bring back the dewy glow. Our Rose Hips Mask is a fall Mario Mask Must (can you say that three times fast?!). It’s perfect for sensitive or dull, tired skin in restoring moisture for a healthy, plump complexion. We’re all about antioxidant Vitamin C for its brightening properties—and this mask is chock full of it. You’ve got 20 minutes all to yourself. Put down your phone, resist answering work emails, and relax. Mist like you mean it. Once your mask has dried, give your complexion a liberal misting of Facial Spray with Aloe, Herbs and Rosewater. It’ll help soften the mask to ease the removal process and prevent tugging at your skin. Brighten and replenish. Start by massaging a few drops of the Hyaluronic Emulsion with Vitamin C into the skin. Any skincare expert or bona fide junkie will rave on endlessly about the benefits of Hyaluronic Acid and Vitamin C. Add Collagen to the mix and you have yourself an incredibly nourishing, nutrient-rich serum that helps restore skin’s natural moisture, improve clarity, and brighten the skin. If you’re staying in, lock in all that moisture and glow with the Seaweed Night Cream. Because it’s so lightweight and versatile, it’s easy to layer up on your serums and customize your glow. Seaweed Night helps lock in all that moisture and nutrients while its Collagen content helps plump the appearance of skin so that come morning, dull and dry is a thing of yesteryear. Don’t forget the eyes! Reduce the appearance of dry, tired under-eyes and help smooth the look of fine lines with the Hyaluronic Eye Cream, our best-selling and most universal formula. It’s perfect for day or under make-up, but if you’re in need of heavy-duty moisture before bed, you know the drill: Layer up. Pat 1-2 drops of Cellufirm Drops around the eye area before applying your eye cream. In need of something even richer (especially for nighttime)? Swap out Hyaluronic Eye Cream for Olive Eye Cream or Glycolic Eye Cream instead.